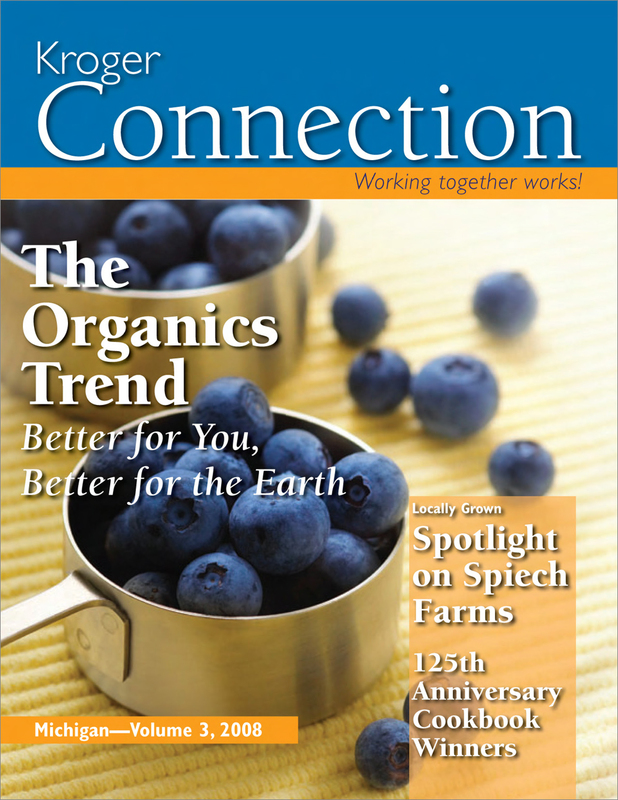 The Kroger Connection is the regional bi-monthly news magazine for employees of Kroger retail food stores. 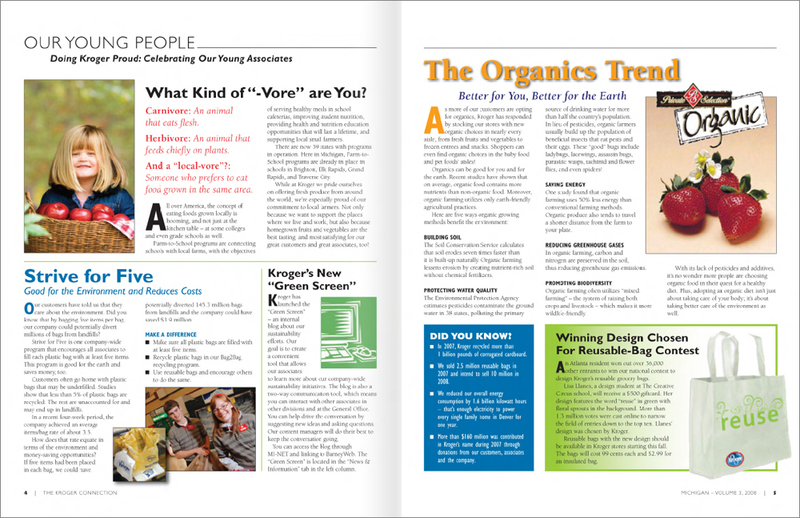 While there was a basic established format to follow, I was able to freshen up the design, create original layouts, and set up templates and style sheets in InDesign to make later production of the magazine more efficient and consistent. 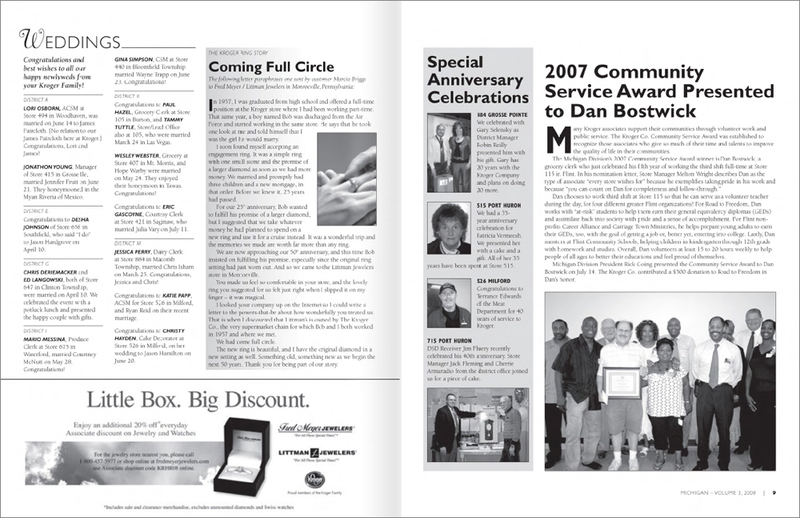 Responsible for: Organizing stories and artwork for layout, designing spreads, proofing and making edits, producing magazine under a tight deadline.